How is fintech changing the way we bank, borrow and spend? This three-part series, produced by VICE and presented by MaRS, explores just that by spotlighting fintech ventures that are using innovative, new technologies to disrupt some of the services offered by traditional banks. Stay tuned for a new episode launching every two weeks. 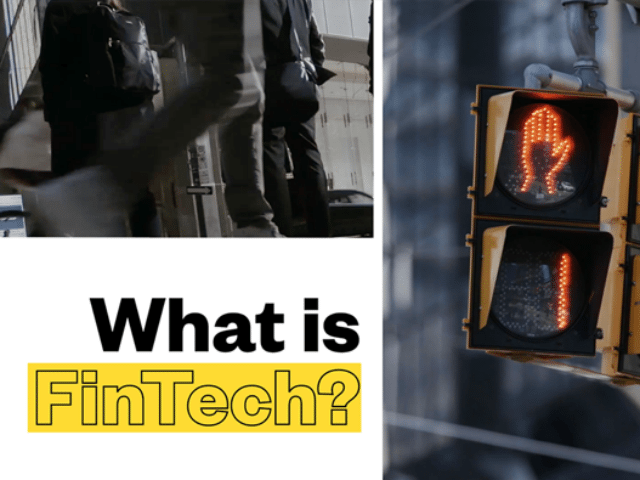 Episode 1 – What is Fintech? Eva Wong from Borrowell, an online marketplace lending platform, explains exactly what fintech means. Borrowell provides affordable, fixed-interest loans and a secure way for consumers to get their credit score for free. Monique Morden from Lendified discusses the role of lending companies today and the advantages that the digital revolution has given them. Lendified provides fast, easy and affordable loans to small businesses. Lastly, Brandon Vlaar and Cato Pastoll of Lending Loop explain how small companies like theirs have changed the paradigm when it comes to getting loans or accessing financing. Lending Loop is Canada’s first fully regulated peer-to-peer lending platform focused on small business. Watch the full episode on VICE. Featuring Coinsquare and Cryptiv, episode two breaks down cryptocurrencies and blockchain, and why they’re both making money transfers easier. Watch to take a deeper look at where cryptocurrency is headed, and explore the possibility of a future without cold hard cash. RANK Software and Bioconnect are two ventures that are on the front lines when it comes to defending customers’ digital identities. As the number of online transactions grows, so too does the need to constantly evaluate how secure this intangible world really is. Find out exactly what’s at stake when a thumbprint just won’t cut it any more.